It’s birthday season at the Harwell house. I have three boys that have birthdays exactly three weeks apart, one right after another. It’s a fun six weeks! I absolutely love birthdays and celebrating the ones I love, making them feel special and getting the whole family in on the celebration. Changing our diet a few years ago to paleo/GAPS-style eating threw me for a loop and I had to learn how to make special foods in new ways. 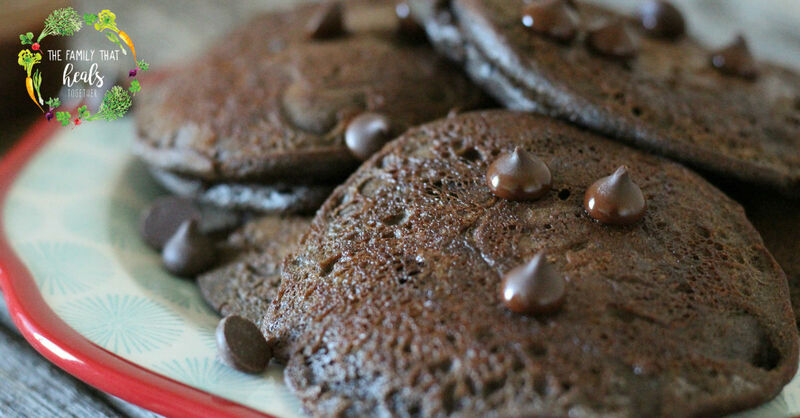 These chocolate buttermilk birthday pancakes are no exception! They’re both special and allergen-friendly. Let’s just say my birthday boy licked his plate clean. Literally. If you want to make these special pancakes for the next birthday in your family, or ya know, ’cause it’s Tuesday, find the recipe below! 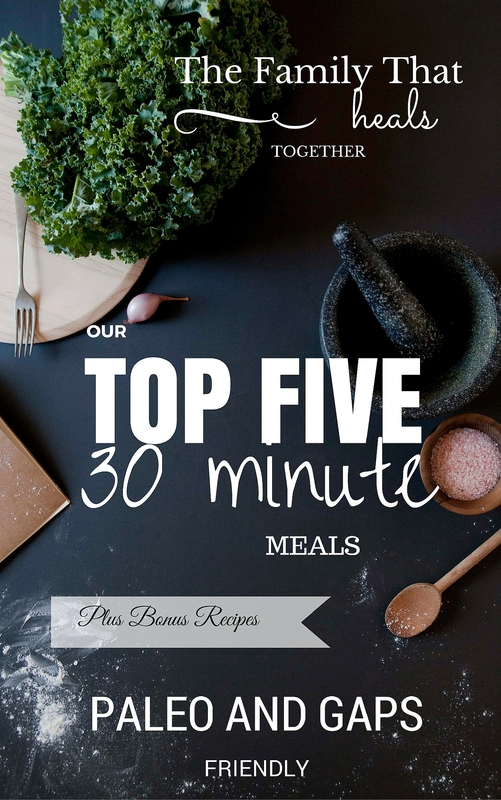 Have you ever noticed how paleo-style pancakes can be really finicky or is it just me? I seem to have the hardest time getting them to hold a nice shape and texture, and flipping can be a nightmare! That was, until a sweet friend gifted me with the ultimate paleo pancake spatula; aka: a fish spatula. It turns out that spatulas designed for flipping fish are perfect for flipping finicky, grain-free pancakes because they are long and thin. So if you didn’t know, now you do! 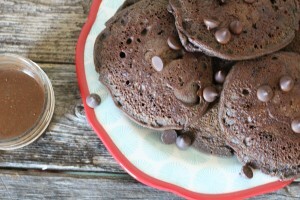 For perfect paleo pancakes, get a fish spatula and make this recipe, which just so happens to have the best texture of just about any paleo pancakes I’ve made to date! 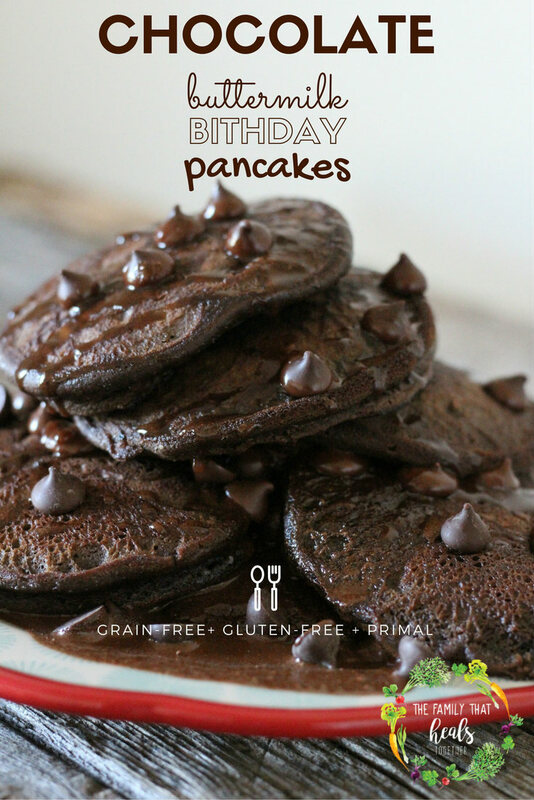 Would your family enjoy these chocolate buttermilk birthday pancakes for a special occasion? Share using the share buttons below! Blend on high, scraping the sides if necessary, until the batter is smooth. Scoop scant 1/4 cup scoops of batter on the skillet. Cook for another three minutes on the second side before transferring to a plate and topping with additional butter and optional chocolate chips. If you want things to get extra chocolatey, mix about 1/2 Tbsp. cocoa powder per about 1/4 cup maple syrup.